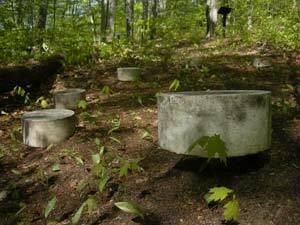 The fairy ring mushroom grows throughout Michigan. A circle of white caps bud at the root tips of dead trees and expand each year. Here the ever-expanding influence of art mirrors that of its subject.